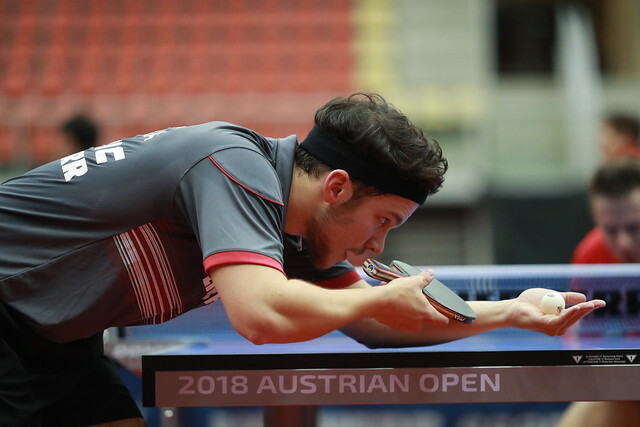 Irresistible in Sweden when one after another she beat China’s elite in the guise Liu Shiwen, Ding Ning and Zhu Yuling to claim the top step of the podium; on Friday 9th November, it was back down to earth for Japan’s Mima Ito at the Seamaster 2018 ITTF World Tour Platinum, Liebherr Austrian Open in Linz. Occupying the no.8 seeded position, at the quarter-final stage of the Women’s Singles event, she was beaten by Hong Kong’s Doo Hoi Kem, the no.13 seed (9-11, 11-1, 11-2, 7-11, 14-12, 11-8). A surprise win and although age must be considered, Doo Hoi Kem is four years the elder, she does have a good record against Mima Ito; she has now won four of their seven international encounters. “It’s unbelievable. Mima played so well at the Swedish Open and she beat many Chinese. The end of the road for Mima Ito, it was also the end of the road for the Land of the Rising Sun, very much at the hands of China. Miu Hirano, the no.9 seed, was beaten by Wang Manyu, the no.6 seed (11-5, 12-10, 12-14, 11-7, 11-7), Honoka Hashimoto, who had been required to compete in the qualification tournament, experienced defeat by the very narrowest of margins when facing Zhu Yuling. Eventually, Zhu Yuling prevailed in seven games (11-8, 8-11, 11-9, 11-13, 12-10, 10-12, 12-10). Progress for China, there was more; Liu Shiwen, the no.3 seed, accounted for Romania’s Bernadette Szocs (11-3, 11-2, 11-2, 13-11), an impressive win but the most significant was that secured by her colleague, He Zhuojia. Required to compete in the qualification tournament, she accounted for Korea Republic’s Suh Hyowon, the no.12 seed, in a full distance contest (11-8, 11-8, 8-11, 8-11, 11-9, 8-11, 11-2). The win means that it is more than likely He Zhoujia has booked her place in the Grand Finals. Currently having reached the quarter-final round she is in 16th place (379 points) and that might well be enough. She is one place behind Singapore’s Feng Tianwei who in the second round, occupying the no.11 seeded position, lost to Chinese Taipei’s Cheng I-Ching, the no.7 seed (3-11, 11-8, 5-11, 11-7, 11-9, 11-13, 11-6). Feng Tianwei presently occupies the no.15 spot (465 points). The only player who can theoretically surpass either Feng Tianwei or Sun Yingsha is Doo Hoi Kem but in order to achieve the goal, she must reach the final. It may not happen, at the quarter-final stage, she faces Zhu Yuling, in the same half Chen Meng opposes Liu Shiwen; in the opposite half of the draw He Zhuojia plays Cheng I-Ching, Wang Manyu confronts Ding Ning. The contests between in the lower half of the draw will be played later today; in the top half, commencing play on Friday 10th November.